Districts | Wisconsin Law Enforcement Officers Association, Inc. Representing Kenosha, Racine, Rock, and Walworth Counties. Representing Columbia, Dane, Dodge, Green, and Jefferson Counties. Representing all of Milwuakee County. Representing Calumet, Fond du Lac, GreenLake, Ozaukee, Sheboygan, Washington, and Winnebago Counties. Representing Adams, Clark, Florence, Forest, Langlade, Lincoln, Marathon, Marquette, Menominee, Portage, Shawano, Taylor, Waupaca, Waushara, and Wood Counties. Representing Brown, Door, Kewaunee, Manitowoc, Marinette, Oconto, and Outagamie Counties. 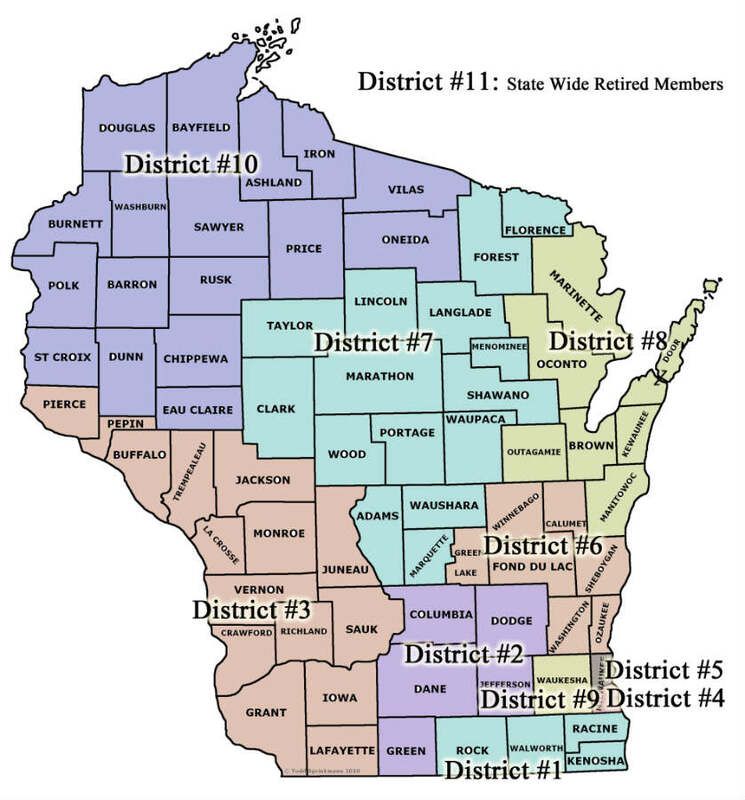 Representing Waukesha County, and the area of Milwaukee County not included in Districts 4 and 5. Representing Ashland, Barron, Bayfield, Burnett, Chippewa, Douglas, Dunn, Eau Claire, Iron, Oneida, Polk, Price, Rusk, St. Croix, Sawyer, Vilas, Washburn, and Sawyer Counties. Representing the retired members of the Association, regardless of the geographical district in which the member resides.